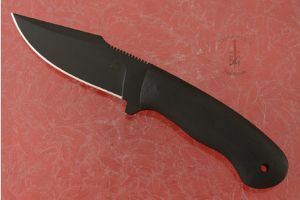 The blade is formed from high performing 80CrV2 carbon steel with a KG finish. This non-reflective finish is a baked-on treatment that is impervious to rust. 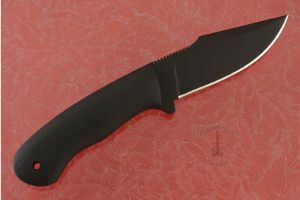 A full tang ensures strength and durability while an aggressive distal taper provides perfect balance. 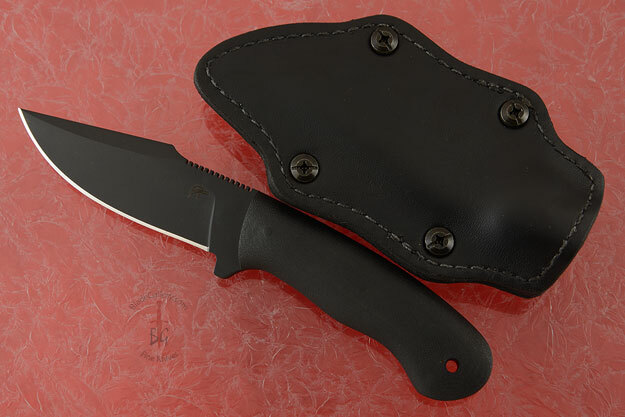 The slip-resistant Micarta handle is also KG coated. Jimping along the spine and contoured handle scales provide plenty of traction in a variety of grip options. 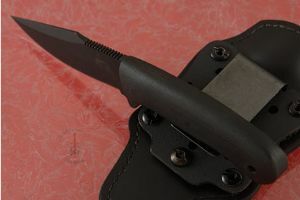 A lanyard hole allows for the easy addition of paracord for extra retention in hand.